Dagöplast AS is a film manufacturer based in Estonia. 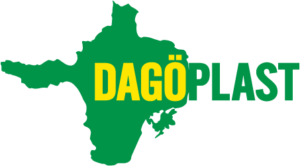 Dagöplast AS has a unique commitment to environmentally friendly film production methods and products. We place a strong emphasis on compostable, biodegradable and recycled materials in our production processes. 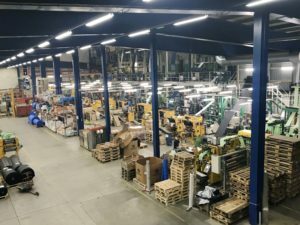 Founded in 1998, we are now a significant film manufacturer in Europe with a reputation for innovation and quality. Our extensive product range includes refuse/garbage bags, polyethylene film, cable protectors, biodegradable & compostable bags and disposable aprons. We work with our customers to produce customized and bespoke products for a wide range of industries. Dagöplast AS also has a specialist knowledge of recycling most types of waste, polyethylene film for industry and agriculture. Our production facility is located on the picturesque island of Hiiumaa off the coast of Estonia. We are conveniently positioned for the European market and centrally located for major customers in the Nordic countries and the Baltics. Our ambitious growth strategy has seen our ongoing expansion into new markets worldwide. We are confident that our expertise will meet your business needs for quality and sustainability. We look forward to working with you.